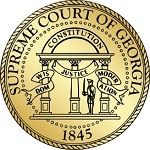 Because the Georgia Supreme Court only allows public viewing of any oral argument video for 30-45 days, I made special arrangements to preserve and host the Chan v. Ellis Georgia Georgia Supreme Court Oral Argument video from October 7, 2014 at 2pm. In attendance in support of Appellant (Matthew Chan) were: Oscar Michelen, Eugene Volokh, Darren Summerville. Unseen attendees in the audience were: Greg Troy, Robert Krausankas, April Brown, Matthew Chan, and Stinger. In attendance in support of Appellee (Linda Ellis) were: Elizabeth W. (Betsy) McBride, Timothy B. McCormack. Unseen attendees in the audience were: Linda Ellis, John W. Jolin. For those who prefer to watch each segment separately or specific segments, there are five videos representing each distinct presentation.